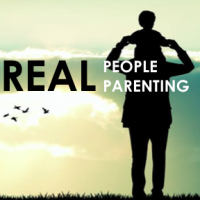 Join other parents and caregivers to discuss topics for Christian parents, find support through each other’s experiences, and build stronger relationships with other King Avenue families. Join us on Sundays at 10am in the Fireside Room. Discussion Materials are provided weekly. No prep ahead. Just drop in! All are welcome! March 31: The “YOU” Series: Me? Develop a Personal Devotional Life? April 7: The “REFLECT & RELATE” Series: What Did Jesus Do? April 14: The “REFLECT & RELATE” Series: How Can I Know God? April 21: No Sunday School or RPRP Small Group – HAPPY EASTER! Read descriptions of each week’s topic on Realm, and listen to the podcast at www.rootsandwingspodcast.com.